We are running a very special Christmas portrait photography promotion in Southampton this year. If you are looking for some lovely photos of you or your children or perhaps having your family dressed up like Santa or in their favourite Christmas jumper, then take a look below. Or maybe you and your pets / fur babies. Once again this year we have 3 very Christmassy themes and lots of props and Santa hats for the children to wear. Mummy and Daddy can of course join if for a few photos too. Our offer is for one family so bring along your children and join them if you wish. If you would like your children photographed with extended family like cousins please contact us for details. You can choose either of our themes for your Christmas portraits in Southampton or if you can’t decide choose the package with both. 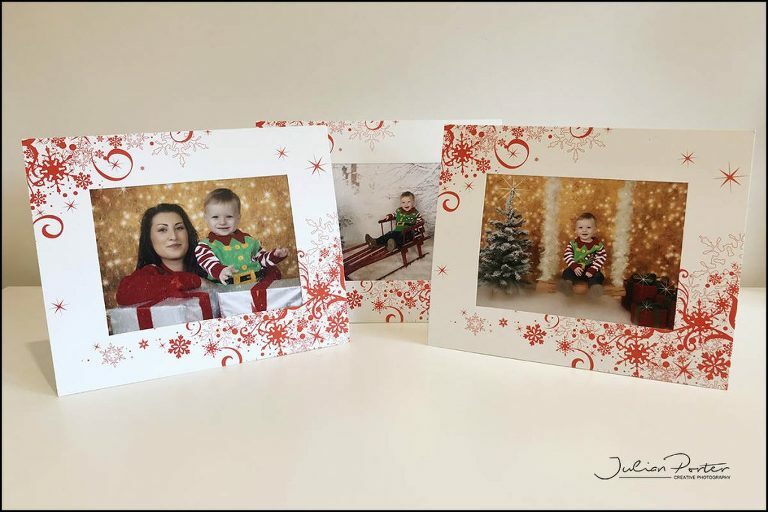 Each shoot comes with the digital files including our facebook framed photos below ad well as plain for printing PLUS 3 LARGE printed photographs. 8″ x 6″ in our beautiful Christmas mount ready to pop on your mantlepiece, under the tree or on the wall. Mounted Prints offer whilst stocks last.